Elaine Scarry reminds us that even though ‘the main purpose and outcome of war is injuring’ this ‘massive fact can nevertheless ‘disappear from view along many separate paths.’ This presentation traces some of those paths, exploring the treatment and evacuation of the injured and sick in three war zones: the Western Front in the First World War, Afghanistan 2001-2018, and Syria 2012-2018. The movement of casualties from the Western Front inaugurated the modern military-medical machine; it was overwhelmingly concerned with the treatment of combatants, for whom the journey – by stretcher, ambulance, train and boat – was always precarious and painful. Its parts constituted a ‘machine’ in all sorts of ways, but its operation was far from smooth. 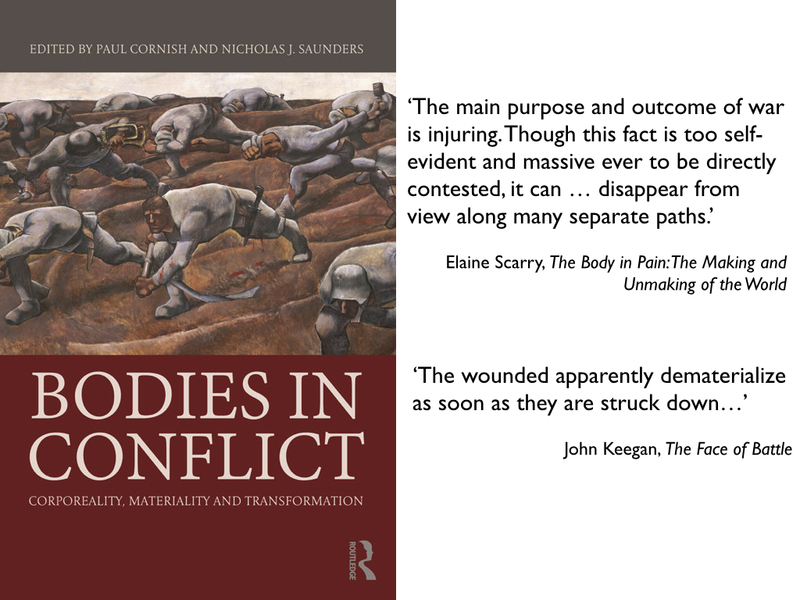 The contrast with the aerial evacuation and en route treatment of US/UK casualties in Afghanistan is instructive, and at first sight these liquid geographies confirm Stephen Pinker’s progressivist theses about ‘the better angels of our nature’ [see also here]. But this impression has to be radically revised once Afghan casualties are taken into account – both combatant and civilian – and it is dispelled altogether by the fate of the sick and wounded in rebel-controlled areas of Syria. For most of them treatment was dangerous, almost always improvised and ever more precarious as hospitals and clinics were routinely targeted and medical supplies disrupted, and evacuation impossible as multiple sieges brutally and aggressively tightened. Later modern war has many modalities, and the broken bodies that are moved – or immobilised – in its lethal landscapes reveal that the ‘therapeutic geographies’ mapped so carefully by Omar Dewachi and others [see here and here] continue to be haunted by the ghosts of cruelty and suffering that stalked the battlefield of the American Civil War in the years following Lincoln’s original appeal to those ‘better angels’. The presentation will tie together several strands I’ve laid out in posts on Geographical Imaginations; the next installment of my analysis of siege warfare and geographies of precarity in Syria will appear shortly. This entry was posted in Afghanistan, American Civil War, casualties, late modern war, medical geography, Syria, World War I and tagged Antipode, casualty evacuation, Omar Dewachi, Stephen Pinker by Derek Gregory. Bookmark the permalink.